In the second of our new series to spread health awareness, Danusia Osiowy meets farmer’s wife Celia Gaze, whose battle with stress made her bounce back stronger than ever. Two things I was not expecting to learn during a conversation with Celia Gaze – being told it was national popcorn day and realising the deeply emotional impact stress can have on a person. As a senior manager in the NHS for 14 years, she managed large-scale projects within the system and was tasked to turnaround very complex and challenging business situations. By her own admission, the projects would always get worse before they got better, and one way of coping with the pressure of work and life would be to start early. Celia, who is married to Lancashire farmer and butcher Stephen Whitehead, says: “Between 4am and 7am has always been my golden time. It is when I am at my peak, as it is quiet, peaceful and you can just get on with it. After being called back by the NHS to tackle another high pressure project, working long hours and juggling family life finally took its toll. Celia’s behaviour, and wellbeing, began to nosedive. She says: “I was weepy, I lost my confidence and I was paranoid people were talking about me and judging me when they weren’t. “I wasn’t sleeping, I didn’t want to socialise and I was comfort eating. I was always worried at work, as I had put this immense pressure on myself to fix what everyone else knew was an impossible situation and it became consuming. For the first two-and-a-half years of business, Celia also battled bureaucracy and increased business rates. Prior to diversifying, the farm’s rateable value was about £2,000, but having diversified, the rateable value rose to about £17,000. Not expecting such a huge increase in business rates, she did a lot of work to find evidence of the business being over-assessed – the issues of which had to be developed into a comprehensive Statement of Case which was presented at a business rates tribunal. She says: “In my case, the Valuation Office failed to recognise the split between agriculture, domestic and business which occurs at many farms, so I had business rates applied to buildings which were for private use. “Our farm has been banded against businesses which were established 20 years ago, which offer on-site accommodation and are considerably larger in acreage. “Due to the nature of our upland location and farming conditions, it was unrealistic to expect me to support an indicative rent of £16,750/annum. When your business rates are more expensive than River Cottage, you have to question why. Relunctantly, Celia went to see a doctor following a friend’s suggestion. But contrary to having time off work to rest and recover, the situation got worse. “I started ruminating and became obsessed with stress and what had led me to feel the way I did. I wanted to understand what on earth caused it, so I completed a qualification in stress management and organisational stress management. After being off work for a total of four weeks, Celia made the bold decision to resign and was left with the question of what came next and her attention turned to the farm. Stephen’s family have been farming in Edgworth since 1886 and have been exclusively supplying their sheep into their own butchery shop ever since. While David, Stephen’s father, manages the sheep every day, Wheatsheaf Hill Farm was originally rented out as a livery yard and, over the years, had become neglected. Celia says: “I wondered if people were feeling stressed out whether they could come to a place which was specifically designed to help them feel better? Travelling with Matthew, who was then 18 months old, she visited 196 venues around the country as a member of the public, compiling a list of ideas she liked along the way. 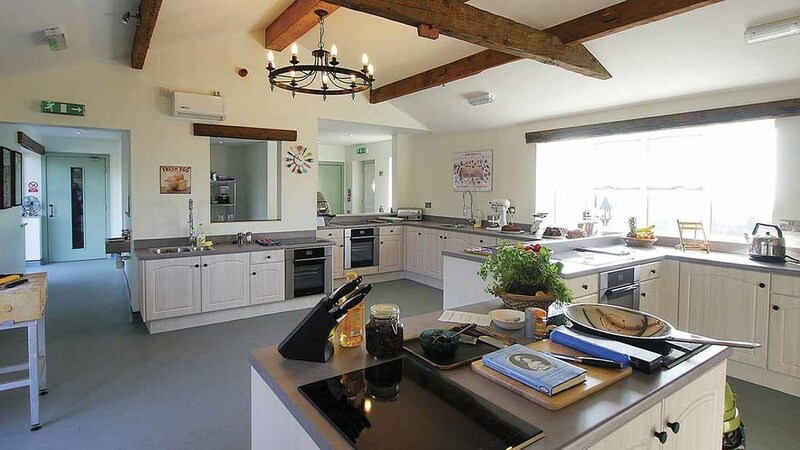 With the help of Stephen, she invested their life savings and transformed the 18th century building from a rundown farm into a sustainable, state-of-the-art events and courses venue, with its own cookery school where people could sample farm life and go walking with llamas. he farm also became a venue for business events, team-building and conferences, and secured a grant to install a wind turbine. Only six months after opening its doors in 2013, the farm won a Gold Green Tourism Award in the Green Tourism Business Scheme – the largest environmental accreditation body operating within tourism in Europe. A string of other awards followed and to the outside world, all was good. But in reality, the business was struggling, debt was mounting and financial losses were massive. Celia says: “Looking back, I know now going to visit all those places was wrong. It just became a hotchpot of ideas and I ended up with 15 different concepts under one farm from a corporate events venue to a cookery school. “People would suggest ideas and I would just do it. Yes, we were successful in the sense we were something different, but it was all difficult to market, because of the complete lack of focus. “When you have too many ideas, you scatter yourself way too thinly and the lack of focus ended up with people not really understanding what the business was. “We made a massive loss, I was running out of money and I didn’t have enough income to make the repayments on the money I had borrowed from the bank. “People loved the story behind the transformation of a neglected farm, but they didn’t know if they could come here or not, as we were aiming ourselves at too many audiences. Most people start off small, but we started off huge. Around the same time in 2014 and through the local authority, Celia secured the help of a mentor Victor Giannandrea who provided (and still provides) mentoring support. 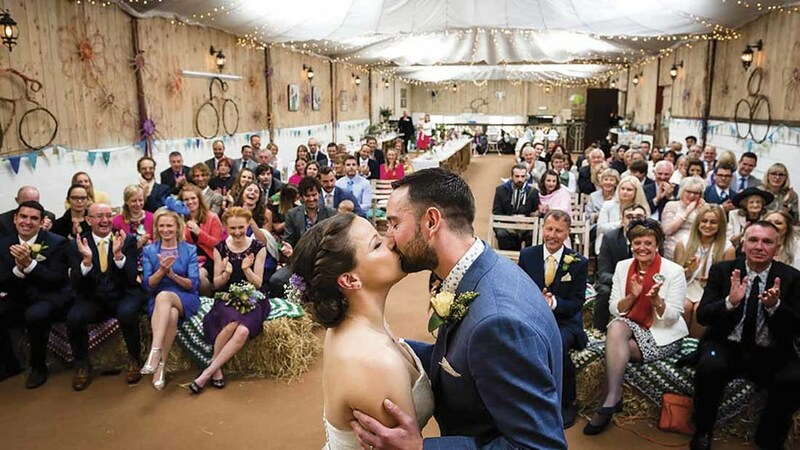 In July of the same year, Celia had been trading for one-and-a-half years when a local couple approached her to host their wedding at the farm. An indoor horse arena from their old livery had remained untouched, but had the potential to become a wedding venue. With the business on its knees and crippled by debt, it was her last chance to save the farm, but first she needed more money to make it happen. In November, things got so bad with the business she wrote a letter to her mum and her husband as she couldn’t bring herself to tell them of the situation she had found herself in. Celia says: “I had got myself into huge debt and I needed to take a risk and make this wedding happen. The bank would not lend us any more money, so I asked them again for some financial help. With the help of her brother, a designer, who helped achieve her vision, she transformed the former school into a wedding venue. What was not immediately apparent, but now very obvious, is the foundations of what Celia had put in place were now pivotal to the farm as a wedding venue. 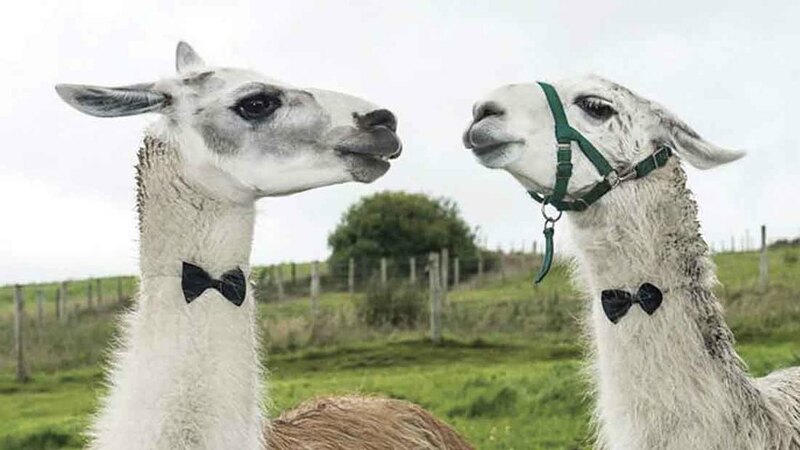 The cookery school, the butchery producing meat, the windmill, the llama trekking and the location had sown the seeds for an award-winning alternative venue. And with no competition and promise of such quirkiness elsewhere in the vicinity, word-of-mouth spread fast. She began using three 64ft military parachutes to create her ceiling, the walls were cladded with wood and relevant furniture was sourced. In 2015, the horse stables were turned into toilets, and in 2016, they added a kitchen and the hay room became the bar. Eventually, what she paid for on credit cards to help fund the diversification has now been paid back. 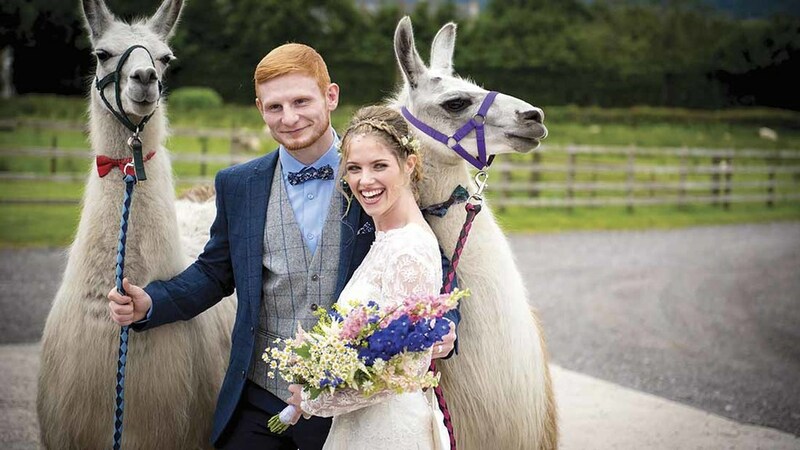 This year, The Wellbeing Farm will host 70 weddings and has bookings up to 2020. As the ultimate comeback kid, Celia managed to bounce back from unofficial bankruptcy, to finding her niche and elevating the farm to new levels. For somebody who suffered so badly with stress previously, how did she not sink deeper into the condition when so many things went wrong? She says: “I have learnt to accept failure. If I hadn’t failed, I would not have come up with weddings, but it eventually saved the farm. Now in a position to positively reflect on harder times, she speaks candidly about a condition many farmers, and their families, do not recognise. She says: “It isn’t something to be taken lightly, as it is a condition which can dominate you and your life as a family. A lot of people don’t own up to being stressed, but if I had not experienced it, I would not be doing this now.